“On New Year’s eve, The Marine Mammal Center’s Dr. Michelle Barbieri and the Hawaiian Monk Recovery Team were busy removing a fish hook from Benny an adult male monk seal. 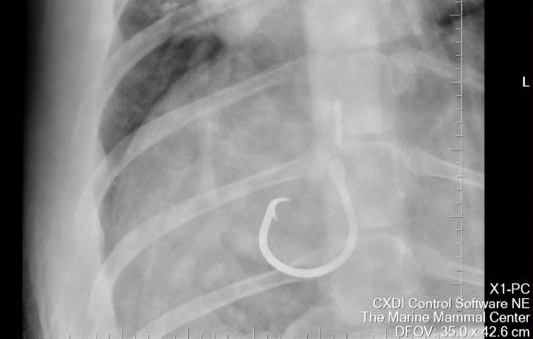 The Vet Rocket Xray was instrumental in quickly making the diagnosis of an ingested hook that lead to the emergency surgery. Radiographing Benny was a huge test for the Vet Rocket and the battery powered generator because of his size. As you can see from the news article, the radiographs were beautiful. Benny is recovering well and will be release soon.